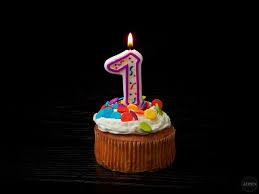 RBTT is now 1 yo!!!! It’s exactly one year ago that I started RBTT. I never imagined that I would be still active on it this long, time really flies. Here’s a big thank you to all the people following my blog and for your support. This entry was posted in Blog and tagged blogging, First anniversary, RBTT, wordpress on May 18, 2015 by R.B.T.T..